When their beach trip got rained out, the Eiko and Kamuri decided to have their bikini episode indoors. Tama and Hana quickly followed suit! 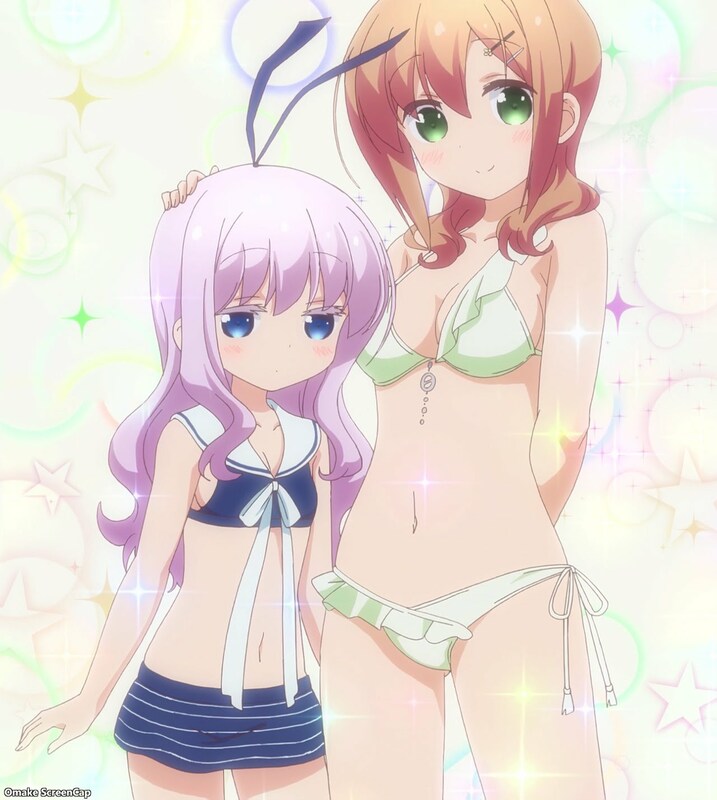 Tama knows why the beach episode is important, and it's not for the beach. Swimsuit event shots! Plus, strings getting pulled turned into a recurring joke. If they're still at the apartment complex, they better get the older sister types involved. First Hiroe, showing all sorts of skin. She can scream for a pretty long time... And then Shion figured out what was going on in an instant. Adulting has its advantages. Like having the experience to suggest a spa day for a rained out beach trip. The girls got to use their cute swimsuits at an indoor pool. Adulting has other advantages. Like knowing the pleasures of a full body massage. Yes. Very pleasurable. The string pulling joke continued to pay out when the girls in their excitement to rush to the spa resort forgot their underwear. 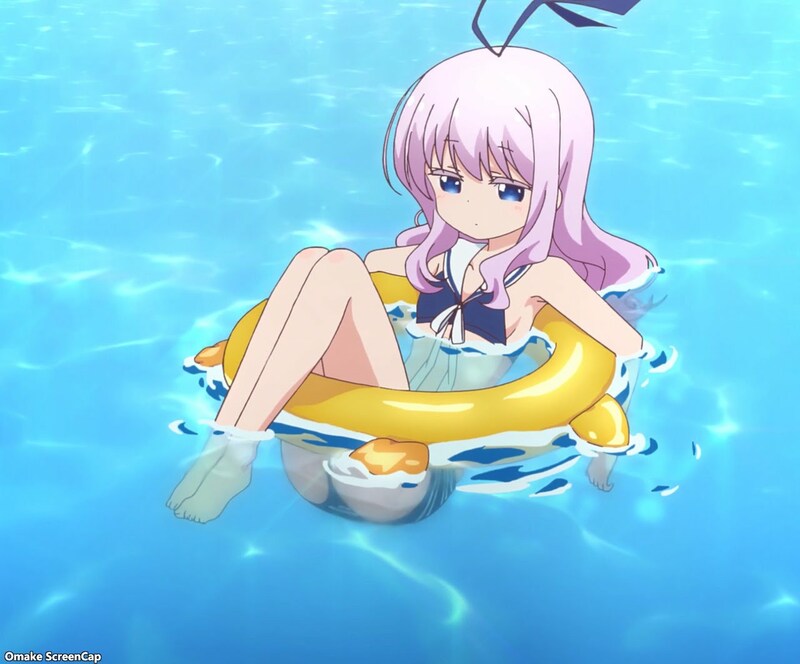 Shion brought fancy spares, but Hiroe got the fanciest one. 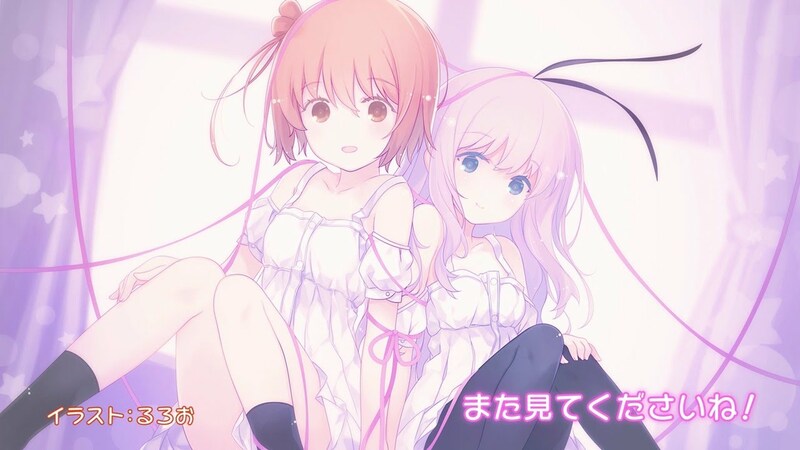 Hana and Kamuri explore the fated ribbon in the end card.